PAME denounces the arrests of trade unionists and workers in Turkey during the protest of Nakliyat Is, a member of the WFTU, demanding the payment of employees of the REAL Market. Employees of REAL, after the acquisition of the company in which they worked from the MAKRO group, proceeded to protests demanding the payment of their compensations. After months of mobilization and with the support of the Greek Unions of Commerce and PAME, the company initially promised to pay 50% of those money on September 20th. After the employers failed to do so, the employees along with the Union proceeded to mobilize in the group’s stores. The employers responded with the help of the police and the arrest of 15 workers and trade unionists, including the President of the Union and a member of the WFTU Presidential Council, Ali-Riza Küçükosmanoğlu. After a massive mobilization in the police station, and after several hours of detention, the detainees were released. 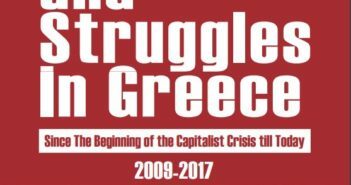 In Turkey, as in Greece, with ongoing courts against militant farmers, arrests and prosecutions of trade unionists, suppression of protests against auctions, etc., it turns out that governments and the mechanisms of repression are at the disposal of the employers for the suppression of workers’ struggles. PAME denounces the new arrests of trade unionists and workers in Turkey who are fighting for their rights. The struggle for the right of workers does not stop with arrests and intimidations. We stand by the side of the REAL Marker workers and Nakliyat Is in their fair fight.